Bangladesh is one of the most important centre for denim apparel production and export around the world. In fact, it has come up as the third most important exporter of denim apparel to US after Mexico and China and second highest to EU after China. With thousands of small and big garment units in Bangladesh, it is also one of the cheapest production centre for apparel around the world . Also , it is the world’s most concentrated cluster of apparel production with most of the units centered in and around the city of Dhaka and some around Chittagaong. While most of the aforesaid is known , what is not well known is that Bangladesh is also coming up as large textile industry centre . A number of new spinning and weaving mills have come up in the country and these include denim weaving mills also. While Bangladesh has traditionally been a fabric importer, the emergence of these mills is changing the equation for the exporters of fabrics to this country. a) What is the total market size for denim fabrics in Bangladesh ? b) What is the production of denim fabrics in Bangladesh – total and mill wise – giving capacities of mills and approx utilization. 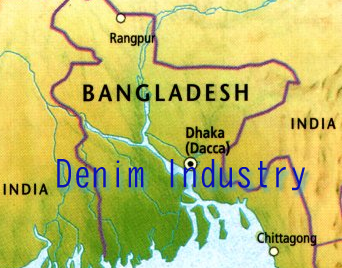 c) What is the total import market for Denim fabrics in BD? Financials of operating denim mill in Bangladesh. Some idea on prices received by denim mills for their fabrics in BD. Balance sheet and statement of income. And many other useful aspects of denim operations in BD. An idea on the buyers who buy from local mills and approx prices . The share of imported fabrics is decreasing by the day as the capacities of Bangladesh Denim mills keeps on increasing every year.